We meet for breakfast at 7:15am at Franklin Pierce University on Thursday, December 6th. Bob Schaumann has the Invocation. 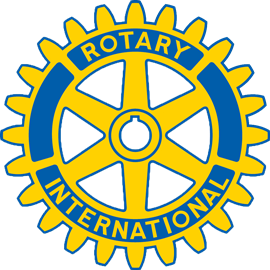 Our guest speaker will be our Rotary District Governor, Venu Rao. Along with recognizing our "Student of the Month," it will be a full agenda. In preparation for our Thursday meeting, the Board of Directors will meet with Venu on Wednesday evening at 7:00pm at the Jaffrey Chamber of Commerce office. It was absolutely great to see 35 Rotarians at our Thursday meeting at the Shattuck -- GREAT turnout, one in which good discussion and ideas were shared. At Bill Raymond's suggestion, a "Blue Ribbon" Committee has been created and will have its first meeting on Wednesday, December 5th, at the Jaffrey Chamber office at 4:00pm. We will share initial outcomes at Thursday's meeting. Thanks to Clay, Kathleen, Bruce, Andy Lawn, Sheila, Sam Lafortune, Bill Driscoll, Jed, Travis, and Ben, all of whom volunteered to be members.